Spotted a post on Larry Ferlazzo the other day about http://www.fotobabble.com/ – a “talking photo” service that “lets you add your voice to any photo in seconds”. I’m very excited by the possibility of learners having a picture task in front of them and recording their one minute response onto fotobabble. Not only can they then analyse their own performance, thus hopefully becoming more aware of what they do well and what they need to work on, but this also opens up their performance to peer critique and would allow teachers the opportunity to do some more in-depth analysis than is often possible in classroom situations. 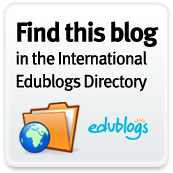 eslprintables has some (if you’re signed up), as does flo-joe and the “practise english” blog, which has a massive (self produced?) selection of tasks for FCE and CAE. Alex Case also has some useful advice for candidates on onestopenglish. And of course the Cambridge Esol Teacher support site has useful resources, though most of these are pdf downloads and not suitable for fotobabble use. If you want to know more about how to use it (though it seems relatively straightforward), Russell Stannard has a “how to” video which walks and talks you through it.